April N. Turner is a partner in the firm and the appointed Chief Operations Officer of MB&H Corporate Services Ltd. She also serves as the Compliance Officer and Money Laundering Reporting Officer of both entities. April obtained a Bachelor of Arts degree from McMaster University, Canada in 1991 and a dual honours Bachelor of Arts degree in Law and Criminology from the University of Keele, Stafford, England in 1995. She was admitted to the English Bar in 1996 and to The Bahamas Bar a year later. April joined the litigation department in 1997, and in 2005, she took on the role of Compliance Officer and Money Laundering Officer. 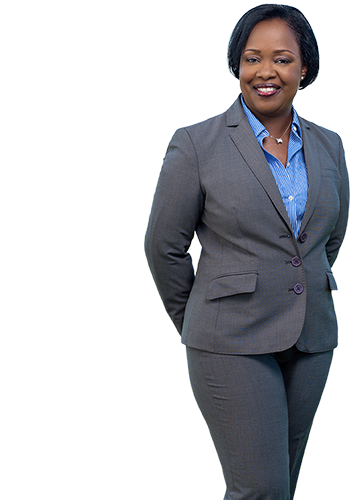 In 2007, she was appointed as Chief Operations Officer of MB&H Corporate Services Ltd.
April leads a result-oriented and enthusiastic team of corporate secretaries at MB&H Corporate, who are well-versed in the various wealth management vehicles commonly used in The Bahamas. April advises both local and international clients on an extensive range of financial services matters, including company formation, corporate administration and management, registration of foundations and segregated account companies, mergers and acquisitions, continuation of companies, company liquidations, and anti-money laundering procedures. April’s core values include Integrity, honesty, respect, and teamwork. She prides herself on always being accessible and responsive to the needs of her clients. Outside of work, April enjoys spending quality time with her family. Named as Executive of the Year in 2012 by The Bahamas Financial Services Board. Former Contributor to “A Guide to International Financial Centres What Chinese Investors Need to Know” and The Bahamas chapter of “International Corporate Procedures”.